ANKARA, August 11. /TASS/. Turkish President Recep Tayyip Erdogan said at a rally in the city of Rize on Saturday that Ankara is ready to trade with its partners in national currencies. 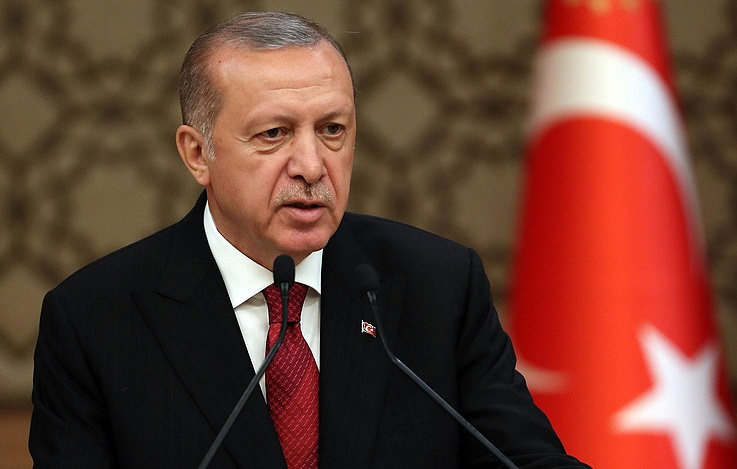 Erdogan noted that Ankara has no intention of tolerating the situation when an economic war had been declared against the whole world, with pressure exerted on some countries, which are threatened with sanctions. He also stressed that there are no politicians or countries around the globe that would succeed by pursuing a hostile policy towards Turkey. Turkish Presidential Spokesman Ibrahim Kalin earlier wrote in the Daily Sabah newspaper that the US runs the risk of losing Turkey as its ally. On Friday, The New York Times published an article by Erdogan himself. He wrote and Washington’s unilateral actions against Turkey undermine American interests and force Ankara to search for new allies. Relations between the two countries deteriorated in the wake of US President Donald Trump’s decision to increase tariffs on Turkish aluminum and steel to 20% and 50% respectively. Another stumbling block is the human rights issue and the arrest of American pastor Andrew Brunson by the Turkish police.